CRAPTASTIC: Five Feature Friday #7! Are you all as ready for your long weekend as I am? I wish every weekend was a long weekend!! I've got all kinds of fun projects for this week!! Julie from The Painted Parlor just finished this awesome vintage table!! I love her spin on the chevron pattern! The distressing and style of this table rock! The Lovely Cupboard made over her classroom! You don't see many classrooms as awesome as this one! I would almost consider going back to school so I could hang out in this room all day - almost! These DIY bunk beds from The Stucco Bungalow are pretty friggin awesome! The color on that wall is perfect! I love every last detail in this room - what a great DIY project!! Creative Cain Cabin did a fabulous makeover on this chunky coffee table! Don't you love the color combo and distressing - and who can resist those chunky legs?! I saved my personal favorite for last! I know, I know! It's rude to have a personal favorite, but I can't help it! I'm participating in my first craft swab with Bonnie from Pink Stitches! Yeah, I'm sure you've heard about her! LOL! We've done giveaways together and had all kinds of blog fun! I got my goodies from her today and could NOT be more pleased! She is so awesome! 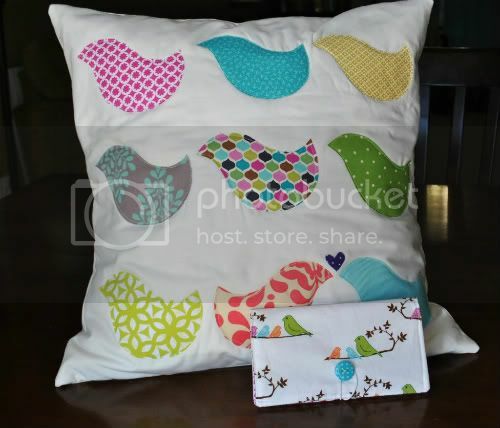 She made me a pillow cover (read here for her sweet story behind the pillow) and a checkbook wallet! 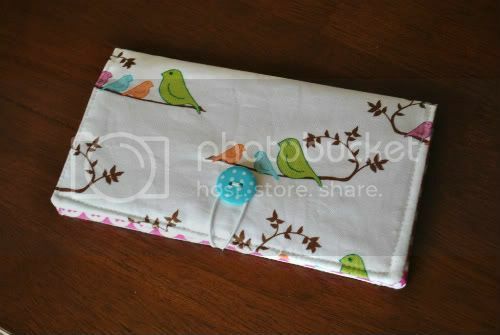 Both with cute birdies! Yes, please!! 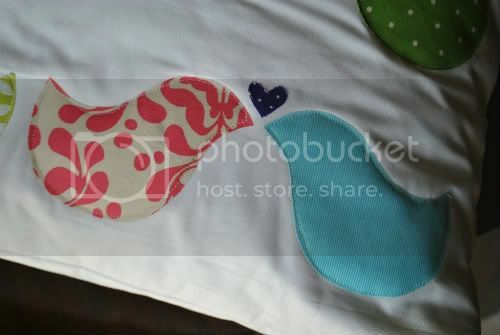 I stole all of these pictures off of her blog, but once the pillow gets settled into it's new home you'll be seeing more pictures! I just mailed her first package of goodies yesterday, so I can't reveal those until she gets them! Katie - Thank you for including us in your post! Those are great features. I love them all. That classroom looks awesome ... what a great teacher!